Mary’s Tack and Feed is having a Holiday Saddle Sale beginning November 1st through December 31st! 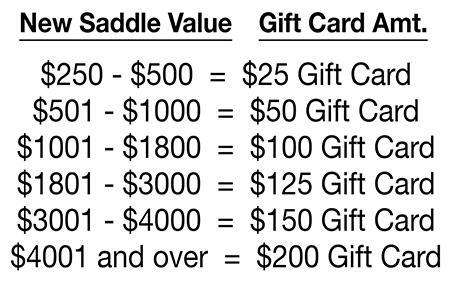 Purchase any NEW English or Western Saddle and receive a FREE saddle Pad and FREE Mary’s Gift Card up to $200! Don’t forget we still have free ground shipping on ALL NEW English and Western Saddles until the end of the year! That’s a $30 savings, and if the saddle doesn’t work out, you only pay for return shipping. If you’re looking for that perfect gift for your horse-loving child, spouse, or family member, now is the time to get them the gift that they’ll remember every time they saddle up. If you’re in the market for a new saddle, what a better time to buy one! FREE ground shipping (a $30 savings! ), FREE saddle pad ($30-$70 savings! ), and a FREE gift card that you can use for anything at Mary’s or as an amazing re-gift. And remember that Mary’s has a saddle trial program – so you are assured of getting the right saddle for your and your horse. Talk to our expert Sales Associates for top of the line saddle fitting advice! Don’t miss out on these great savings. You can shop in store, online at http://www.marystack.com, or order at Toll Free 1-800-551-MARY(6279). November 5, 2014 in Sales and Promotions. 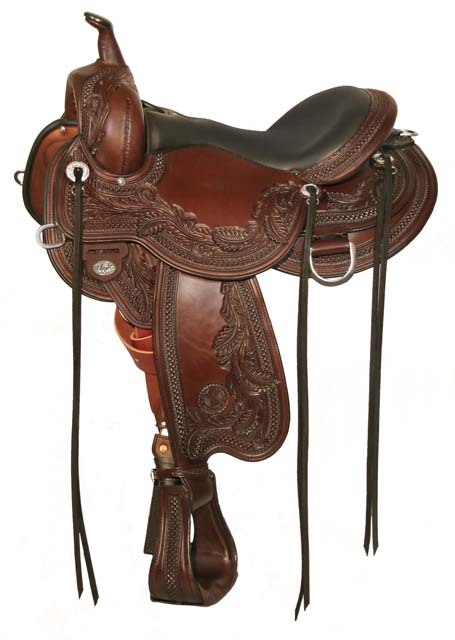 Free Shipping on New Saddles and 10% off Western Saddles at Mary’s!